By now you’ve probably heard of Proposal 1, which will be on the ballot this November (also referred to as the Michigan Regulation and Taxation of Marihuana Act. Proposal 1 is hoping to make Michigan the next state to decriminalize the sale and use of marijuana for adults over 21. According to the Coalition to Regulate Marijuana Like Alcohol (RMLA), the aim of this initiative is to make Michigan a national leader in smart-adult-use marijuana laws. The RMLA describes the effort to pass Proposal 1 as a coalition effort. The coalition includes many groups in the state, with the Marijuana Policy Project playing a leading role. MPP most recently has coordinated the successful campaigns to regulate marijuana like alcohol in Maine, Massachusetts, and Nevada. MPP also contributed to the successful campaign in California, Colorado and Alaska. Since Michigan’s state law regulating microbusinesses is very similar to California and Nevada, these two states provide a logical starting point when trying to predict how microbusinesses will be regulated and licensed in Michigan. In California, after the implementation of legalization, big business has swallowed up many of the smaller players and driven others out of business. According to a recently published analysis, 20% of cultivation licenses belong to just 12 licensees. Understandably, there are people in Michigan who fear that similar types of control on the industry could leave them without a viable avenue into the Michigan’s recreational cannabis market. This is because large cannabis cultivators are able to flood the market with marijuana at greatly reduced prices, often driving smaller cultivators out of business. According to the RMLA, by creating a marijuana microbusiness license, the initiative is ensuring opportunities for small marijuana businesses in Michigan. The RMLA compares the Microbusiness model to that of micro-breweries and micro-distilleries, though there are some stark differences between the business models. For example, Michigan microbreweries are able to produce and sell their own beer direct to the consumer as well as to beer distributors. The Michigan microbusiness license would allow for marijuana microbusinesses to cultivate up to 150 marijuana plants, as well as process, package and sell that marijuana directly to consumers. The license does, however, restrict the ability of those businesses to sell their marijuana or marijuana infused products to other marijuana establishments as well as restricting their ability to sell marijuana products produced by other establishments. Instead, Michigan marijuana microbusinesses can only sell directly to consumers. The goal of creating the microbusiness license was to carve out a place in the market for “mom and pop” businesses as well as avoid having these businesses pay to apply and hold four different licenses. A marijuana microbusiness license would allow small business owners the opportunity to consolidate their operation under the roof of one operation. 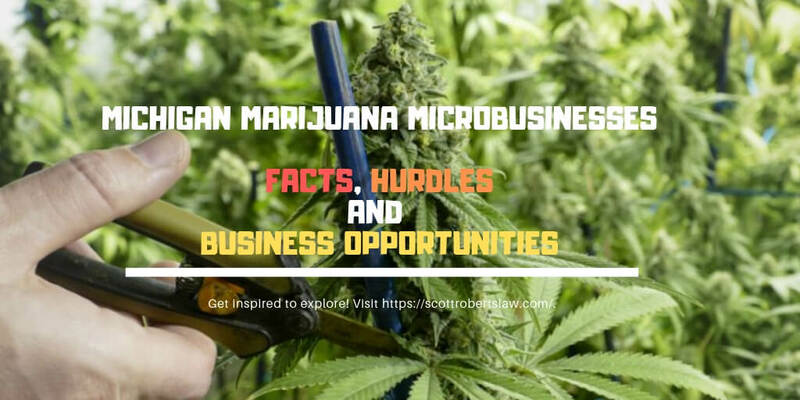 One key element of the microbusiness license is that if you hold a microbusiness license, you cannot hold any other recreational marijuana license type. This protects Michigan microbusiness owners from being gobbled up by big business interests. However, the microbusiness model faces some hurdles, especially in areas related to zoning and municipal approval. As described above, marijuana microbusinesses will ensure the license holder the ability to go from seed to sale, all out of their own store or facility, though the sale of their cannabis products will be relegated to their own business and not anywhere else. Similar to the microbrewery and micro-distillery model, Michigan cannabis microbusinesses would be able to offer a more personalized marijuana experience, one that RMLA believes would not compete with bigger companies focused on massive, large scale grows. While this may be true, many Michiganders still fear that such sweeping legalization will lead to big business dominating Michigan’s medical and recreational markets, relegating those without deep pockets to the sidelines. Those fears are not without some justification—it seems anytime marijuana has entered the legal domain, big business has been quick to pounce. Even though Michigan’s medical market currently has barriers in place to prevent public companies from entering the medical market, these business interests are often able to work with legislators and governmental entities to twist and even change the rules of the game to their advantage. One of the biggest hurdles facing the marijuana microbusiness model is the question regarding on-site consumption. California has dealt with this problem in the wake of legalization. In California, although legal to sell and use, consumption of cannabis in public is illegal. This represents a problem for microbusinesses because among other things, they are open to the public. However, the state has built a workaround to the public ban exception. Specifically, the state law allows cities and counties to allow on-site consumption if: (1) access to the area where the cannabis consumption is allowed is age restricted to guests 21 and older, (2) cannabis consumption is not visible from any public place or nonage-restricted area, and (3) the sale or consumption of alcohol or tobacco is not allowed on the premises. Section 4.1(e) of the MRTA places the same restrictions and allows for the same workarounds as the California law. So in the event that Proposal 1 does pass, we are likely to see similar regulation of on-site consumption. This could limit the potential breadth of business models for hopeful microbusiness owners, but would nonetheless still allow Amsterdam-style coffee shops to proliferate throughout the State. It could also lead to greater diversity in what is permissible from city to city. In California, some cities like L.A have completely nixed the idea of onsite consumption. In contrast, San Francisco has supported the idea of the Amsterdam-style cannabis lounge. Oakland is allowing dispensaries the opportunity to apply for, and obtain, secondary onsite consumption permits. With the law in California and the proposal being so similar, a lot of what has been implemented thus far in California could make its way to Michigan. Since the sale and consumption of tobacco will not be allowed on premises that allow onsite consumption, we cannot be sure if the same hurdles that Michigan hookah lounges and cigar bars have faced will also be problems for the cannabis lounges. Even so, many cigar bars and hookah lounges have been able to work around the ban of food or drink products in the same area as smoking. Usually, this involves the use of a sub-divided building that has two completely separate areas of preparation and addresses, with one address housing the food and beverage prep areas and the other the smoking area. In Nevada, microbusinesses face additional hurdles in the form of zoning restrictions. Specifically, since microbusiness licenses are a “seed-to-sale” product license, it is often difficult to find an area that allows all of the uses allowed under the license. For instance, you may be able to find an area that allows for retail and cultivation but not processing. This would cause a problem for microbusiness owners in Michigan because they would not be able to grow, process and sell their marijuana products from one, vertically integrated facility. Another potential hurdle is the fact that the MTRA leaves much of the details to LARA, which could become co-opted by “Big Cannabis” interests looking to squash smaller competitors. Since LARA will dictate the rules of the road, it has the potential to make the requirements so onerous and burdensome that marijuana microbusinesses will have a hard time competing with larger facilities. While cannabis business owners may face some hurdles in starting a Michigan marijuana microbusiness, there are also plenty of opportunities for those able to obtain a license. When people think of microbusiness related to marijuana, they usually think Amsterdam-style coffee houses. It makes sense since those coffee shops are iconic tourist stops and offer not only the ability for you to purchase your cannabis but consume it along with a tasty beverage or snack. The problem is onsite consumption requirements. Upon legalization, Michigan cities and counties will be able to opt-in or out of those requirements. I imagine there will be some cities who allow such businesses and others that completely ban them. Even the cities that do “opt-in” and allow microbusinesses may nonetheless regulate them extensively. In addition to coffee shops, licensed microbusinesses in California are also able to deliver cannabis goods to their clients. This helps ensure that smaller operations are able to maximize their customer base. Delivery businesses will likely have to compete against provisioning centers here in Michigan, however, since the proposed MMFLA rules allow for delivery. Delivery-focused microbusinesses may still be able to compete with provisioning center delivery services if they are able to streamline their operations and keep overhead low, as provisioning centers face relatively high-fixed costs. The Michigan microbusiness license could be utilized for other types of cannabis businesses as well. For instance, a cannabis microbusiness could be a boutique edible shop, which would allow the holder of that microbusiness license to take their product from seed to finished product in-house. Additionally, many microbusinesses are considering an all-inclusive business model. These types of business would be similar to a vertically integrated grow / process / provisioning center facility, except that they may be able to offer their customers the ability to sample marijuana products produced by the microbusiness. In addition, these marijuana microbusiness could allow customers to take guided tours through the facility. Tours would involve seeing where and how the marijuana is grown, how it is processed, and how it gets to the final product. Such business models are being proposed by California-based companies, who expect a heavy influx of canna-tourism with the approval of recreational marijuana. This type of business model may be able to thrive because it differentiates not only the product you receive from microbusinesses, but also sets the microbusinesses apart from large scale grows or larger, vertically integrated cannabis businesses in a way that is distinct to smaller operations. These microbusinesses will be able to offer products tailored to their consumers and show the consumer every step involved in the process. This could also create a niche market for those who would consider themselves cannabis enthusiasts. Similar to how microbreweries and wineries offer custom tours of their facilities (that almost always, conveniently, end in a gift shop), marijuana microbusinesses could be able to tap into this business model as well. Licensing right now is up in the air as the MRTA provides LARA with the ability enact rules regulating the licensing and operations of Michigan marijuana microbusinesses. What we do know is that the licensing fees must be related to the actual cost of administering the program, which should keep the fees relatively reasonable. This is in contract to states like Nevada, which sets its license assessments based on expected revenue, leading to license assessments ranging from $5,000 to $120,000. In addition to the license assessment fees, there are still many unknowns when it comes to Michigan microbusiness licensing and regulation. LARA is given broad authority to enact rules to regulate this license type, and it has until the end of 2019 to implement a system to license and regulate MRTA licenses, including microbusiness licenses. The marijuana microbusiness model, in all the states where it has been embraced, has been compared to craft breweries. A small operation that feels much more “mom & pop” than the industrial sized multiple Class C grows. This model would allow for the creation of a more diverse and individualized market. A market where microbusinesses could offer their clients something that big marijuana operations cannot; a personalized touch, a name and face to the product, and an in depth understanding of every step of the process that brought this product to them. This type of model could resonate well in Michigan, which has whole-heartedly embraced craft breweries, specifically in cities that have seen an influx of businesses and young professionals, like Detroit, Ann Arbor, and Grand Rapids. The character, spirit and charm of these cities is usually incorporated into the small businesses that occupy their buildings, and this sort of authenticity resonates with tourists and young professionals. What does this mean for you? It means the microbusiness model could offer you an alternative avenue into the marijuana market, especially if you are a caregiver unable to meet the MMFLA’s steep capitalization requirements. This license type may not be right for everyone, but is right for those that would like to offer a unique experience in the marijuana market. Whether the model you choose is an Amsterdam style coffee house, an upscale private smoke club (like the Barbary Coast in San Francisco) or the winery / micro-brewery type “tour and taste” operation, the MRTA’s microbusiness license may be your avenue into the Michigan Cannabis market. 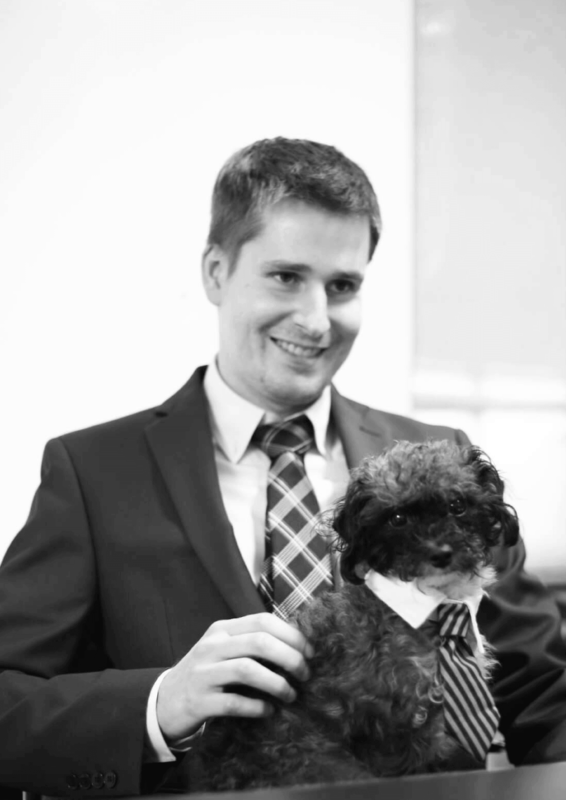 Scott F. Roberts Law is a boutique cannabis business law firm focused on representing Michigan marijuana businesses of all sizes and types in licensing, and compliance business, real estate and municipal matters. Mr. Roberts is speaking on the Michigan microbusiness model at the first annual Commercial Cannabis Conference and Expo in Detroit.